Both Boards of Trustees unanimously welcome this merger as the best opportunity to achieve our shared vision of a world where no one dies of bowel cancer. 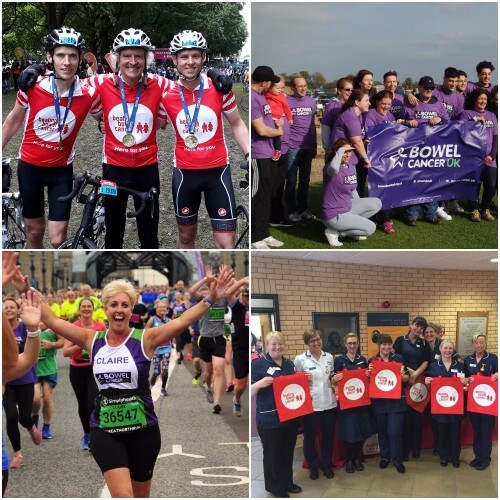 With the help of our fantastic supporters, both charities achieve a great deal separately, but bowel cancer remains the UK’s second biggest cancer killer with over 16,000 people dying annually of a disease that is preventable, treatable and curable. We are determined to change that. By integrating our activity, teams, networks and support bases we will create a strong, confident charity that will drive positive change to save more lives in the future. The strong relationships we already enjoy with so many people closely affected by bowel cancer will be an essential ingredient for future success and we look forward to building this further in the future. We commit to ensuring that the needs and views of people directly affected by bowel cancer will remain at the heart of all we do. We will also continue to work in partnership with the UK’s leading scientists and clinicians to ensure we are well informed and solution focused. As the UK’s leading bowel cancer charity, our purpose is clear: we are determined to save lives, improve the quality of life and support all those affected by bowel cancer in the UK. We are tremendously excited about the future and our pledge is bold, stretching and inspiring. Within ten years we will transform survival rates, from only one in every two people surviving bowel cancer over five years, to three out of four people surviving. There will be better treatment and care including information and support for every patient and screening will be optimal, leading to more cancers being detected early or prevented leading to fewer emergency presentations. We will become a legally merged organisation from early January 2018 and Chief Executive, Deborah Alsina MBE and her team will work hard to fully integrate the organisations. A new name and brand will be unveiled later in 2018. The Board, chaired by Patrick Figgis, will support the establishment of an ambitious but achievable strategic plan for the future to help us deliver our purpose and realise our ambition. We already have exciting plans for 2018 including awarding our first research grants and digital development of our patient and carer services. Of course, we can’t achieve this alone and so we need your help and support to make our ambitious plans a reality. If you support us already, please stay with us; if you don’t, now is the moment to get involved. Our vision is of a world where no one dies of bowel cancer, please join us and ensure we make this a reality.